A few months back, we turned up to a hackathon at Guy’s Hospital where I was surprised to learn that pagers are still in use in hospitals. In fact, the NHS is using 10% of the world’s pagers. In the era of smart tech, AI and wearables, doctors and nurses rely on archaic technology. It was no surprise that doctors and nurses complained they sometimes missed important calls and found it difficult to organise tasks. Healthcare needs to become more adaptable – quickly. Budgets are squeezed, staff are in short supply and patients are worried. But the NHS’ complex operational structures and critical focus on patients present major challenges for user-centred design processes. Administrators are understandably reluctant to shake things up too much. So how can modern technology improve this fundamental part of our lives without compromising outcomes? 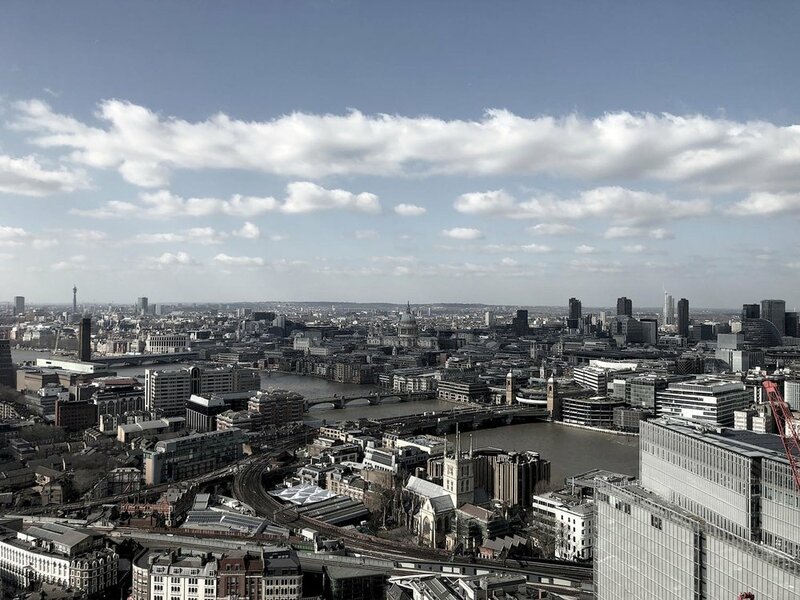 Let’s have a look at this example: London-based Forward App has begun reinventing communication between healthcare staff, after its founders observed that WhatsApp was being repurposed by staff to fill the gap of rapid communication in hospitals. One can see Forward App or a similar product replacing the old pager, which cost the NHS £6.6 million per year. Without a doubt, tech entrepreneurs have a lot to offer the healthcare industry. The hackathon we attended was a well organised event, and the NHS is certainly keen to address the challenge of task management with bold new ideas. There was a lot of innovation on display, but we could see that there was something missing. After all, the challenge here is not simply new ideas – there are already so many apps out there, but there are only a few that actually work well for people. The real challenge is to make an app that not only improves workflows, but that people actually like to use. Successful innovators must involve their users – doctors, nurses and everyone else working in healthcare – in the design process. Instead of simply trying to come up with new product ideas, companies and organisations need to make use of design thinking to understand how healthcare can be improved intelligently. Design thinking is the process of understanding, testing, iterating and delivering, by looking at real world environments and getting feedback from real users. Optimising the user experience is proven to increase user engagement – and that is how tech firms can make an impact, with healthcare professionals and clinical governance as a whole. UX and UI design are not well embedded into healthcare products yet, but they can substantially advance the management of healthcare. With this in mind, the 2xUX team took on the task management challenge and came up with Bleepers, the runner up at the hackathon. The NHS is looking with interest into our contribution, and we are working with real doctors to develop it further. To address the tech gap, a great idea isn’t enough – you have to pair it with great design. 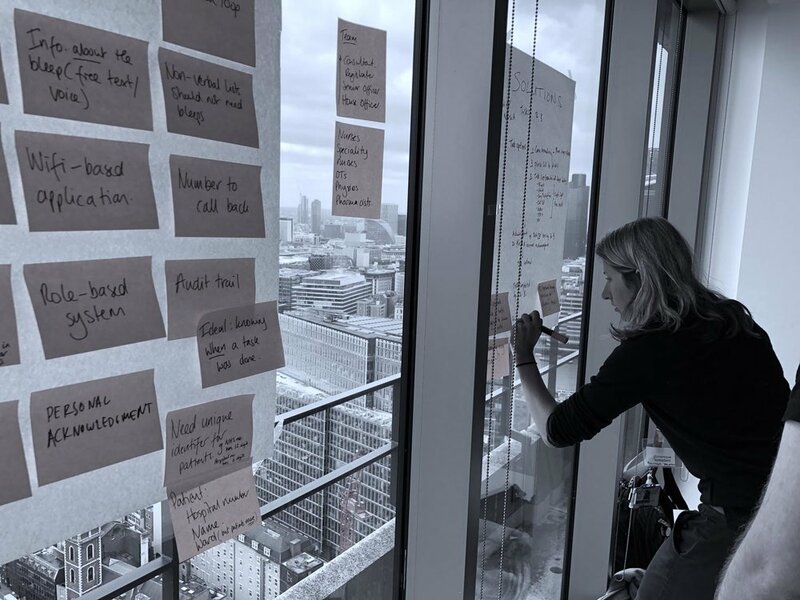 With design thinking, health tech startups have the opportunity to disrupt legacy systems and bureaucracy to bring solutions that will greatly benefit the NHS and those in its care. We can already see the disruptive power of nimble startups in finance, transport and other industries. The long-overdue healthcare revolution is following close behind, and design thinking will be at the forefront.